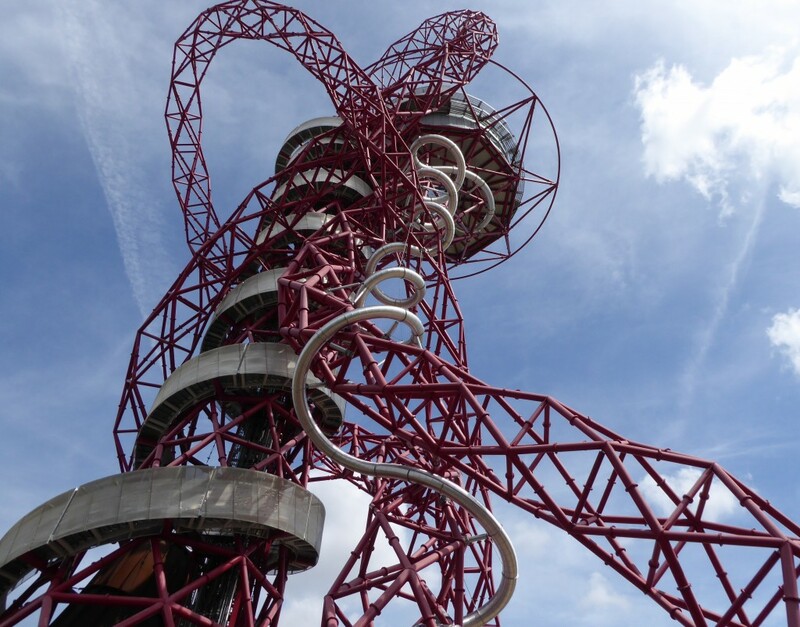 ArcelorMittal Orbit has a slide. Not an ordinary slide its the worlds longest and tallest tunnel slide. What’s it like to have a go? 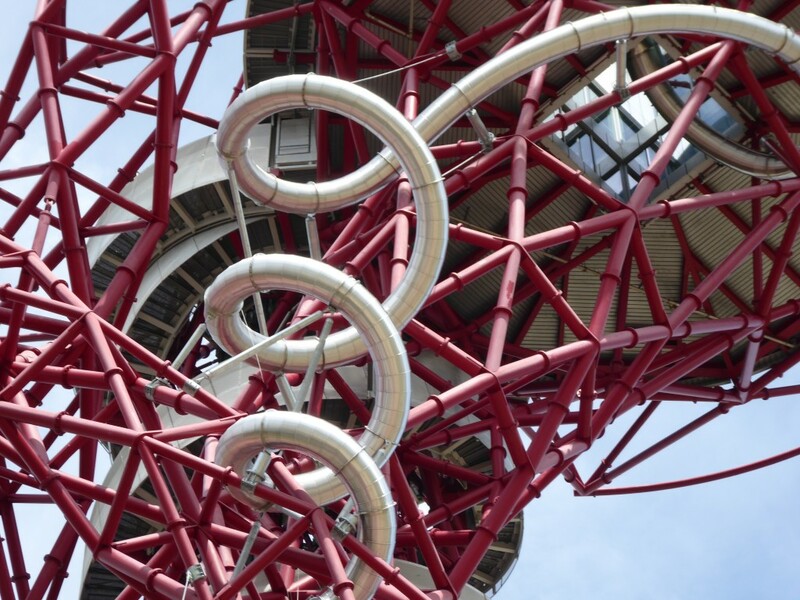 Do you need any other reasons to ride the slide at the ArcelorMittal Orbit? Ok.. well read on and let me convince you! It is a long way up! It sometimes takes a ‘Big’ birthday to do something out of your comfort zone. Having studied tourism and event management at university, I have developed a particular interest in visitor attractions. 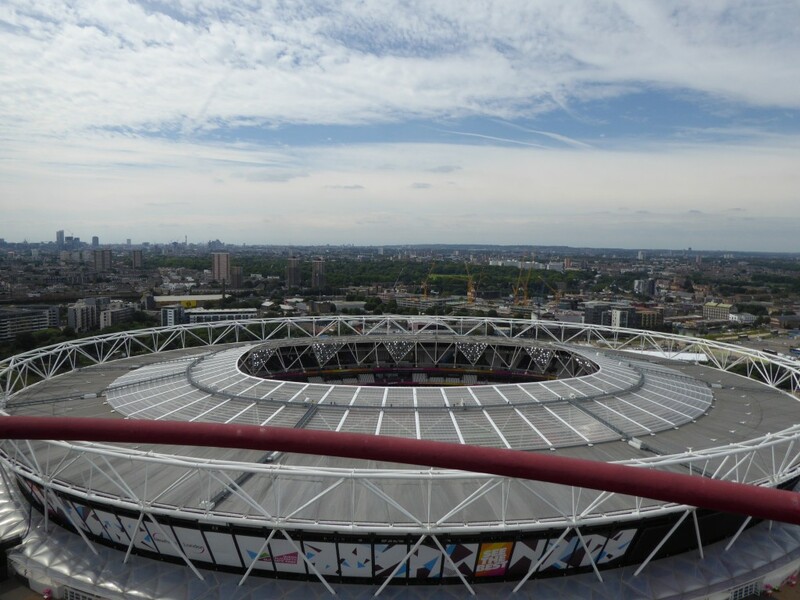 If you watched the 2012 Olympics at the Queen Elizabeth Olympic Park, you would have certainly noticed the red metal structure known as the ArcelorMittal Orbit. 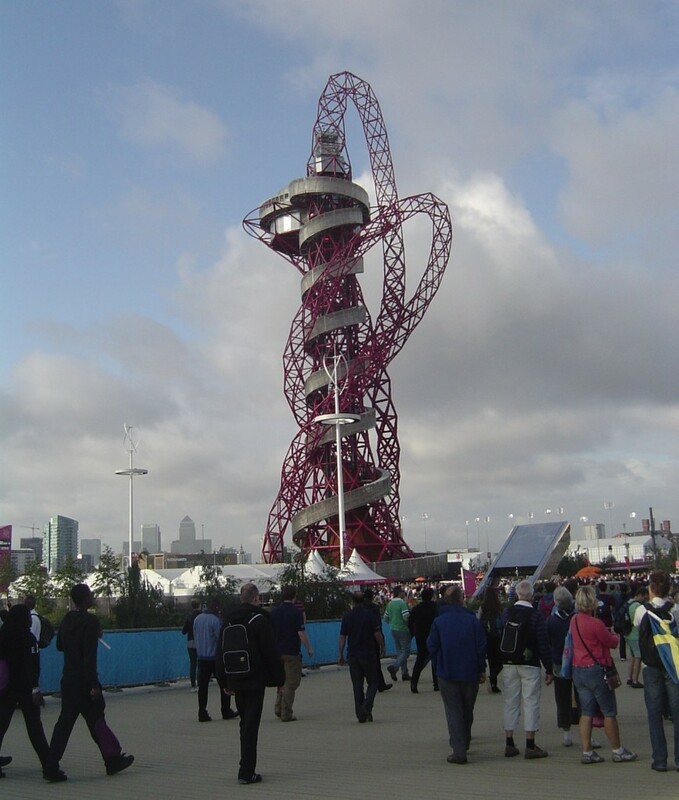 I was really excited to hear that after the 2012 Olympics the ArcelorMittal Orbit was being modified to create a slide. Not just any slide, a slide that was to be the worlds longest tunnel slide! 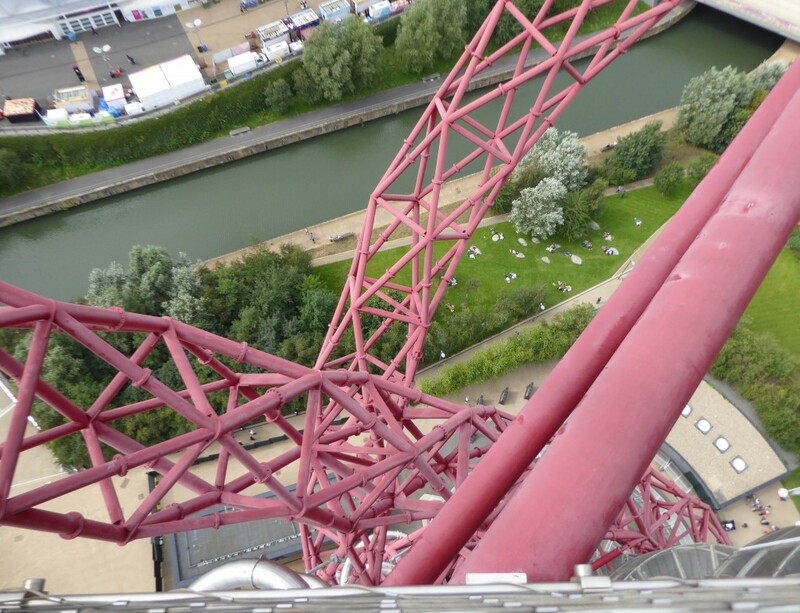 When you get up close, its really difficult to work out where the slide is. In amongst the tangled red steel that twists and turns in all directions, when you do work out what may be the tunnel part of the slide, you get overwhelmed at the sheer height of the whole structure – it certainly makes you wonder “am I brave enough to have a go on it?” Of course you are! The silver swirly thing is the slide! OK if I’m honest – I was unsure too which is where my ‘Big’ birthday came in. I had a lovely surprise when as a birthday gift I was given a ticket to ride the slide! Graciously saying thank you – it really was a lovely surprise, I remember feeling nervous and started to wonder ‘I don’t know if I can do it!’ But of course I did – it was a gift after all, and I had the BEST DAY EVER! When queuing to wait for your turn on the slide, don’t look out of the windows! It sure is high!! Keep calm, take deep breaths and listen to the people as they help you put on arm pads, knee pads and your head protector – yes its serious stuff! As you reach your turn and climb into your ‘Giant Sack’ and lay down at the top of the slide, congratulate yourself that you have made it this far! Wait for the green light and the thumbs up then off you go – I promise you it’s great fun and I found it strangely relaxing! 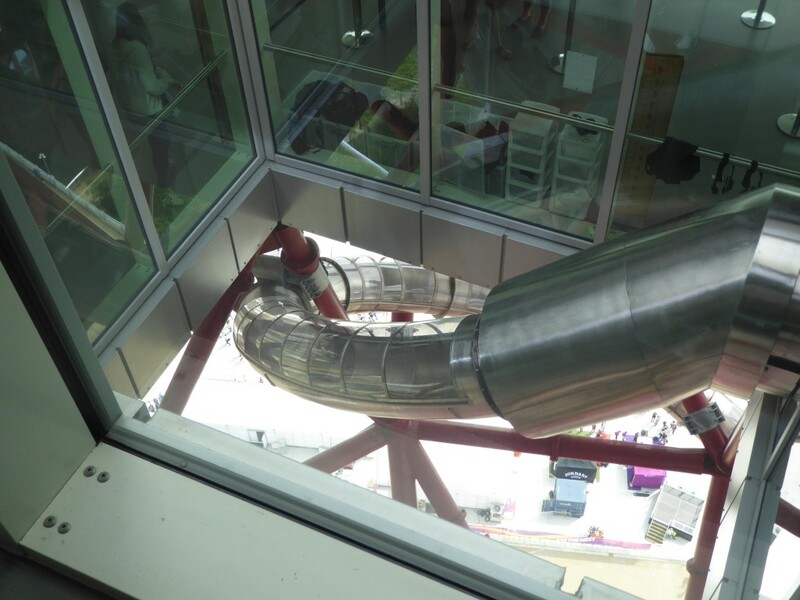 After a ride on the slide you can relax a bit and go back up inside the building and have a look at the views from the observation deck area – Its much more enjoyable without the anticipation of hurtling down the slide! So if you are looking for something a little bit different to do – or someone you know has a ‘Big’ birthday coming up – give it a try. It could be your best birthday EVER!